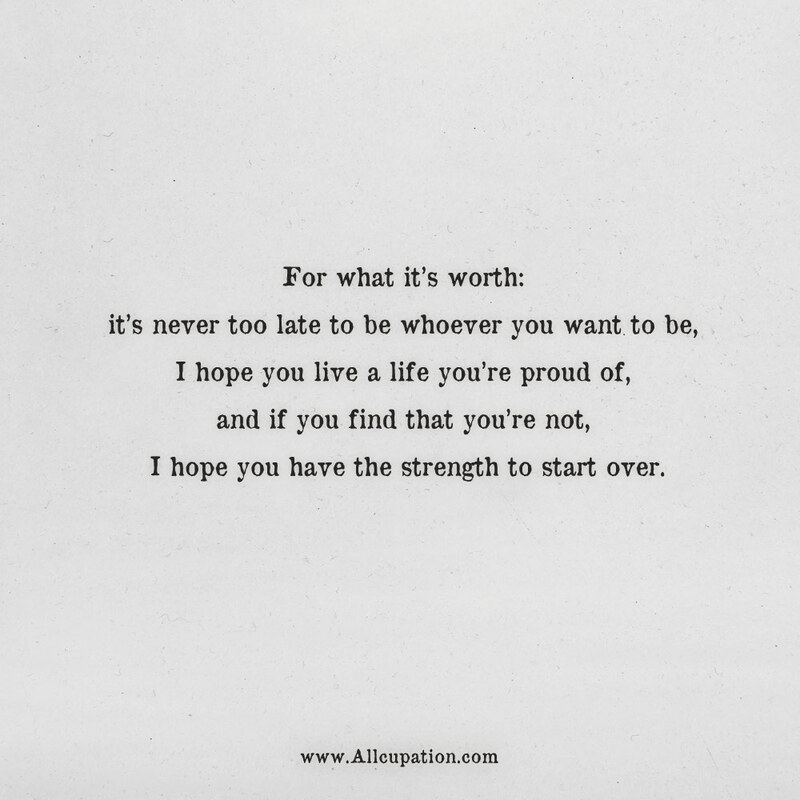 For what it’w worth: it’s never too late to be whoever you want to be, I hope you live a life you’re proud of, and if you find that you’re not, I hope you have the strength to start over. 1 | When something feels off, it is. 2 | Actions always prove why words mean nothing. 3 | Remember this: Your are free to choose, but you are not free from the consequence of your choice. 4 | Embrace reality even if it burns you. 5 | People will forget what you said, people will forget what you did, but people will never forget how you made them feel. 6 | You deserve something you don’t have to question, you deserve someone who is sure about you.